The attack on Pearl Harbor is familiar history to most Americans, but Pomona College Professor of History Samuel Yamashita has spent years researching little-known aspects of that fateful day. Poring over prefectural and municipal records and personal diaries, Yamashita chronicles how ordinary Japanese people responded to news of the attack, not only through mass, orchestrated gatherings but also in individual reflections. 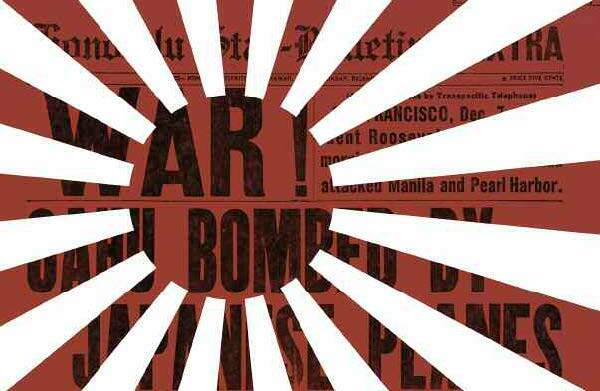 While “nearly everyone reacted enthusiastically,” with young men the most enthusiastic, Yamashita discovered exceptions that belie the notion of a monolithic response in Japan to news of war. No one was sorrier that the war had broken out than a Tokyo housewife. Although she was born and raised in Japan, she had spent her 20s and early 30s in Los Angeles. She married and both of her children were born in the U.S. “We firmly believed that no matter how bad our relationship with America got, it would never come to war. … In fighting, one expects that the absolute and final goal was winning. … This was because I thought it was like a child challenging an adult [to fight],” wrote the housewife. A 48-year-old aeronautical engineer was convinced that Japan could not win a modern war, and he never missed a chance to say so in public. As it happens, he was presenting his views at Tokyo’s Municipal Officials Institute on the morning of the Pearl Harbor attack. “I lectured on my pet theory that Japan was poor in resources, and scientific technique was low; no matter how much we persevered, there would be no victory in modern war,” he said. Other accounts from young people addressed their ability to continue their schooling if the war continued. “From this point on, I would happily graduate from middle school, but would I be able to enter [ one of ] my choices-Ichiko or Niko [the top high schools in the country]? But if the war situation gets worse while I am a student, I would be drafted and probably would have to go to the battlefield with a weapon,” wrote an anxious middle-school-aged child. A Confucian specialist with mastery of both classical Chinese and classical Japanese, Professor of History Samuel Yamashita has written extensively about early modern and modern Japanese intellectual and cultural history, focusing most recently on Japan during World War II and Japanese and fusion cuisine. He is the author of Daily Life in Wartime Japan 1940–1945 and Leaves from an Autumn of Emergencies: Selections from the Wartime Diaries of Ordinary Japanese. He plans to continue his Pearl Harbor attack response research in small towns and villages upon returning to Japan this year.